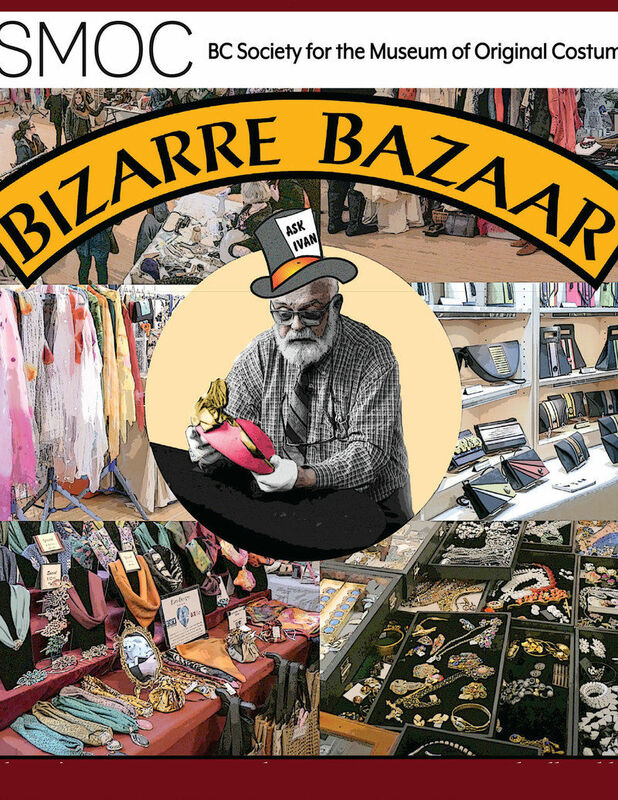 The Society for the Museum of Original Costume (SMOC) is hosting their second 'Bizarre Bazaar' with Vendors from Vintage to Modern Clothing and Accessories. The Bizarre Bazaar also features the opportunity to 'Ask Ivan' about your special collectible. Ivan is SMOC's honorary curator, and an Internationally known expert in period dress. Ask Ivan about who, what, when and wear of your favourite vintage clothing. Or bring family photos and 'Ask Ivan' to estimate the date of the photo from the clothing.